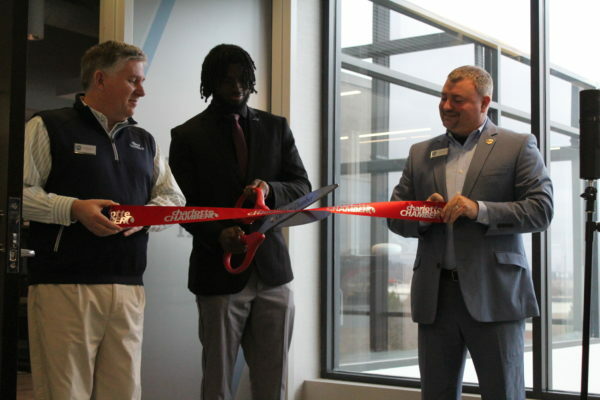 Citing a desire to move closer to its members, the National Junior College Athletic Association has officially opened its new headquarters in Charlotte, North Carolina, the latest in a string of new initiatives for the association. The NJCAA received interest from several cities including Kansas City, Indianapolis and Nashville. In the end, the NJCAA selected Nashville and Charlotte as finalists. The North Carolina city got the final nod for several reasons, including the location, which is in a building across from UNC–Charlotte. Lower hotel room rates and ease of air travel also tipped the scales, Parker said, with more flights to more places in and out of Charlotte adding to the appeal. Charlotte has also expanded its light rail to the northern part of the city, where the new offices are located, allowing easy access to the city center. The 14 NJCAA employees will enjoy 3,500 square feet of office space, as well as a 2,800-square-foot board room shared with University City Partners, an economic development group that helped with the deal. Five NJCAA employees made the move from Colorado Springs. The relocation had benefits beyond closer proximity to more member schools. The location near a major university has also helped the NJCAA to launch a new internship program, which will allow college students to get experience with the NJCAA and learn about potential careers as junior college athletic directors, assistant athletic directors or sports information officers, among others. “We’ve learned, and it’s pretty much standard for people in our area, that none of us planned to go into two-year college athletics,” said Parker. “But the passion is there. Let’s teach some of these young people that these jobs are real and they are important and we can have them be great leaders at the two-year colleges.” The association started with 10 interns last summer and plans to have up to 20 this summer. Many of the students are sports management, marketing, communications or business majors. In addition, the proximity to UNC–Charlotte creates more housing options for interns who come from out of the area. Another benefit of being close to a major university are the venues that could be used in a pinch. Parker said Division III championships in particular can sometimes find it challenging to locate a suitable host, and venues at UNC–Charlotte may be an option moving forward. In addition to the new offices and new internship program, the NJCAA is launching other initiatives as well. In March, the NJCAA will launch a new foundation in an effort to raise money to tell the stories of student-athletes and create scholarships to help them move on to four-year institutions. As for membership, Parker said numbers have held steady in recent years, with any losses happening when larger universities absorb community colleges into their systems. But the future holds the promise of membership growth. “It looks like this coming year we’re going to add close to 10 new colleges to the NJCAA portfolio,” he said.